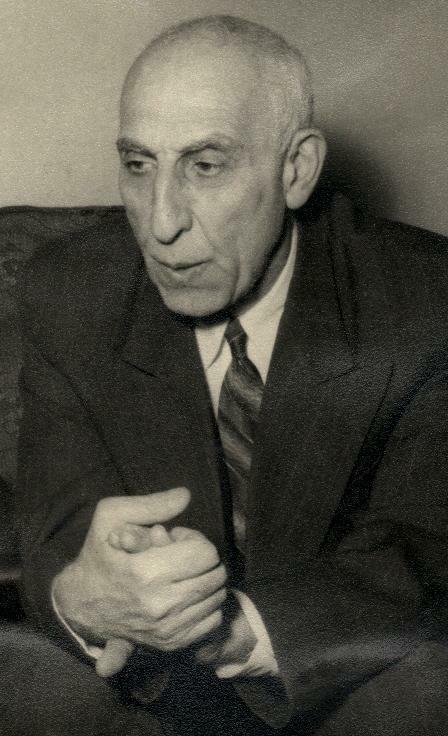 Mohammad Mosaddeq (Persian: محمد مصدق, pronounced [mohæmmæde mosæddeq] ( listen),[add stress] also Mosaddegh, Mossadegh, or Musaddiq) (19 May 1882 – 5 March 1967) was the Prime Minister of Iran from 1951 to 1953 when he was removed from power by a coup d'état. From an aristocratic background, Mosaddeq was an author, administrator, lawyer, prominent parliamentarian, and politician, famous for his passionate opposition to foreign intervention in Iran. He is most famous as the architect of the nationalization of the Iranian oil industry, which had been under British control since 1913 through the Anglo-Iranian Oil Company (AIOC) (later British Petroleum or BP). The Anglo-Iranian Oil Co. was controlled by the British government. Mosaddeq was removed from power in a coup, August 19, 1953 organized and carried out by the United States CIA at the request of the British MI6 which chose Iranian General Fazlollah Zahedi to succeed Mossadegh. The CIA called the coup Operation Ajax after its CIA cryptonym, and as the 28 Mordad 1332 coup in Iran, after its date on the Iranian calendar. Mosaddeq was imprisoned for three years, then put under house arrest until his death. Among many in the Middle East, Mosaddeq is viewed as a hero of anti-imperialism, and a victim of imperialist greed for Iran's oil. Clerical dissatisfaction with Mossadeq's secular rule played a role in the coup, fomented by CIA propaganda.